A New York City cab driver once told me you can only consider yourself a New Yorker if you’ve lived in the city for seven years. I left in July, after 6 years and 11.5 months, for Philadelphia. Screw it -- I wasn't going to be confined to one place because of an arbitrary qualifier. I moved to New York when I was 16. I spent my entire high school life not really having one, which was my motivation to work hard to get out of the tiny German town my family had relocated to. I wanted to make it to NYU. I wanted to be someone. I succeeded, and the move proved to be perhaps the most important of my life -- I grew up quickly. I became a journalist. I had a fast, exciting life. And then, suddenly, I didn’t really want it anymore. It wasn’t that I felt rejected by the city, a sorrow I’ve seen in others that have been chewed up and spit out. Having grown up moving every three years, I began to feel stifled by the looming sense of complacency. I feared becoming the kind of writer who goes to NYC to become one and then stays there. Even for a place that has the tendency to change and turn itself over, remaining indefinitely seemed out of the question. I always saw myself moving to Los Angeles, as is usually the inspiration behind a “Why I Left New York” essay. I knew for years that my time in NY was limited; it just became a matter of when. The moment came to me after a year living alone in Manhattan, far from the communities of Queens and Brooklyn that I was much happier in, for a more direct commute to a potentially unfulfilling job. I realized there wasn't anything left for me here. I was all about Los Angeles, the furthest I could go without leaving the continental United States, until I found Philadelphia. It had everything I desired but didn’t have a language for yet -- a sort of historic warmth; a gray, East Coast, working-class mentality imbued with surprising friendliness. Everyone fights and survives here, and they’re usually not doing it while complaining about rent or subway malfunctions (though SEPTA is nothing to write home about.) Like New York, each neighborhood delights in its autonomy -- but it’s a specific uniqueness that doesn’t lead with a dialogue about price points. This town of brotherly love is in the midst of a transition so bright and wondrous, I couldn’t ignore the light. Before realizing it, I found myself taking regular weekend trips to Philly, treating it like a sixth borough of NYC. That phrasing has been used to marginalize Philadelphia in the past, to rid it of personality, but I saw it as a separate experience more than an extension of another place with another identity. I prefered Philly to my regular spots, the permeating subtle kindness of strangers to the typical facelessness of a crowded NYC sidewalk. But truly, the thing that brought me to Philadelphia over Los Angeles or any other great American city is that this town of brotherly love is in the midst of a transition so bright and wondrous, I couldn’t ignore the light. Family-owned businesses, those long-standing institutions, operate next to new, up-and-coming ventures. 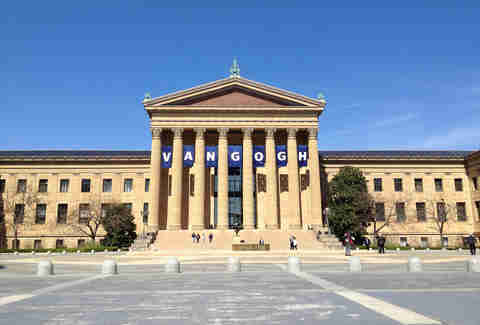 Art is a foundation of Philadelphia as much as the business and industrial careers are. 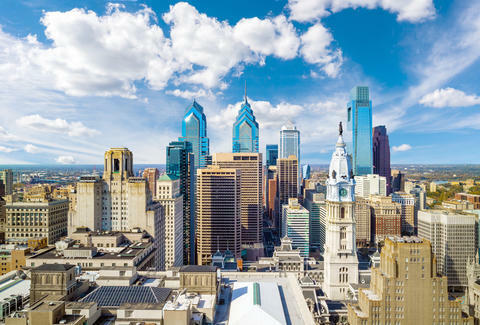 More specifically, Philadelphia is one of the most important cities in the US for independent and underground music, and it's hard to see that changing any time in the near future. It’s within that space where I’ve found a new home in Philly, and I love it so. I’m not the only one who sees this -- I expected to be met with "Why?" after telling all my New York pals about my moving plans, but instead I was met with excitement, jealousy even. When leaving NYC, the most common question I fielded was, "What are you going to miss?" It came up with almost the same frequency as, "Why did you decide to move?" In answering that question dozens of times, I found that I really didn’t have anything of weight to say. Most of the venues and record stores and shops I found an identity in shuttered to make room for more lucrative, impersonal businesses. The New York I loved began to morph into something unrecognizable, and it was a change I couldn’t appreciate. I say that free of totalities -- NYC is a lovely place. I’m just not in love with it anymore. 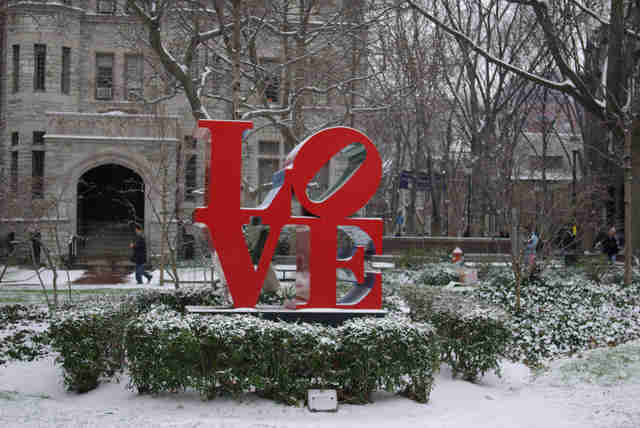 In Philadelphia, the art energy that initially drew me to NYC remains tactfully preserved, even reenergized. I can still write here, and I’ve been doing some of the best work of my career here because of it. When you leave New York, an interesting phenomenon happens. Right before your impending departure, things slow down. I’m far from the only one to have this realization. You stop running for the train. You embrace the calm between the one you missed and the four minutes before its successor arrives. You’ll still parade down the sidewalk with the same unjustifiable energy, but you catch yourself slowing for upward glances -- usually a dead giveaway for a tourist. If you’re lucky, the deceleration will act like real-time memory formation, an out-of-body experience that reminds you why you called this place home -- the endless opportunities of NYC, the inaccessibility of them, the frustration and beauty and anxiety of that duality -- and why it’s time to get the hell out. Maria Sherman is a music and culture writer who was happy to give up New York for Philadelphia. Follow her @mariasherm on Twitter and Instagram.